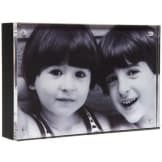 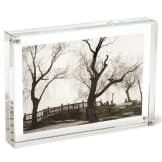 Our Memory Frame is a clean and simple way to display your pictures and mementos of your loved one. These frames are very easy to use, and are held together with tiny magnets in each corner that keep your memories safe and secure. 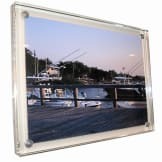 • This frame is perfect for the home or office. 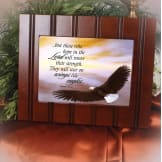 • May be used either horizontally or vertically. • Made of solid, clear acrylic on the front that attaches to black wood panel that forms the back of the frame.